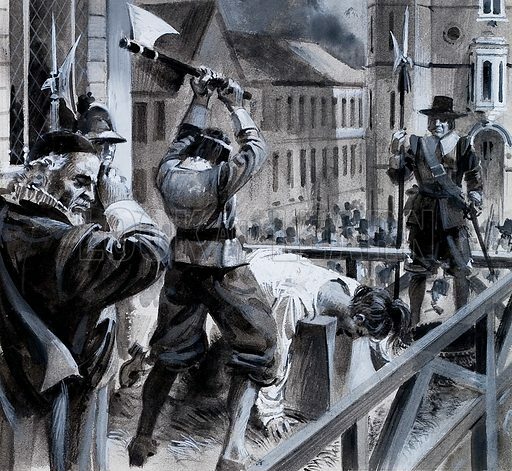 The execution of King Charles I in Whitehall on 30 January 1649. Original artwork for the illustration on p6 of L&L issue no. 915 (4 August 1979). Available worldwide for immediate download up to 4,171 x 3,836 pixels.